The Tom Dickson Extreme Blender is one of the most powerful blenders available on the market today designed specifically for home use. This powerful blender is what helped turn Tom Dickson into a Youtube star. It comes equipped with more power, 3.5 horsepower and 2400 watts, and the longest warranty, ten years, than any of the other blenders we’ve reviewed. This blender does not disappoint! You can get free shipping on a new Tom Dickson Extreme Blender when you purchase direct from Blendtec using any one of the links throughout this website. With more horsepower than the average lawnmower, the Tom Dickson Extreme Blender packs a lot into a relatively small package. It measures 17″ tall, 5.75″ wide, 7.5″ deep and weighs a full 12 lbs. The motor base is chrome-plated, and this model ships with two containers, both the FourSide and the WildSide, and two vented Gripper™ lids. You’ll also receive a recipe book, owner’s manual, a Will It Blend DVD, and as a bonus, an autographed photo of Tom Dickson. As mentioned previously, this top-of-the-line model comes with the longest warranty in the home blender industry, a full ten years! 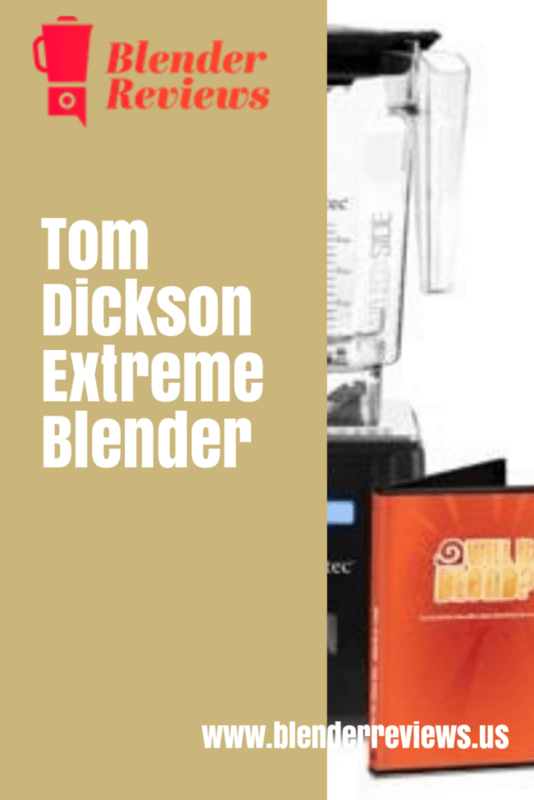 The Tom Dickson Extreme Blender includes both the FourSide and the WildSide containers, which can hold 64 oz and 96 oz respectively. You’ll be amazed at the amount of fresh fruits and vegetables that you can pack into the WildSide container only to have it liquified before your eyes once you turn on the incredible motor. 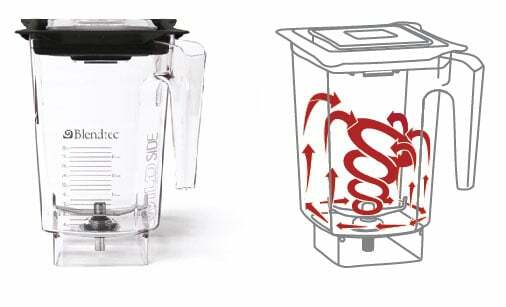 Both containers are capable of blending wet or dry ingredients, unlike the Vitamix containers, which recommend a specialized container for dry ingredients. Both containers are made of BPA-free plastic and include the patented Vented Gripper™ lid that fits snugly over the top to help prevent any spills. The lids also include a removable plastic plug that makes it easy to add ingredients while the blender in working. The motor in the Tom Dickson Extreme Blender is extremely powerful, maybe unnecessarily so. Their other models are perfectly capable to destroying anything you put in the container, but this special configuration takes it a step further. The 20 amp, 2400 watt motor is capable of producing 3.5-peak horsepower, the highest of any home blender we’ve ever seen! It’s no wonder that this is the model that Tom chooses for celebrities, family and friends. Thankfully, the motor is direct-drive meaning that the motor shaft connects directly to the shaft of the blade meaning that all the power is transferred straight through. If there were any gear system involved, it would have to be very sturdy to handle all of that power. This model is also equipped with the Smart-Touch Tec-nology™ which includes 25 pre-programmed blend cycles that can each be selected by scrolling through a simple menu. It also allows you to save a blend cycle that you use frequently; there are four buttons that can store a cycle by simply pressing and holding the button. The design of the Tom Dickson Extreme Blender also makes it possible to mount the blender directly within the countertop since the controls, and buttons are positioned on the top of the blender base. This setup would look perfect in a high-end home kitchen. If you’re looking for the best blender money can buy and need enough horsepower to power a go-cart, the Tom Dickson Extreme Blender is the perfect choice. The sleek chrome base and ability to mount it directly into your kitchen countertop will make you look and feel like a celebrity. What is a Good Quiet Blender? I would like the full details of your product and how much does it cost, I am refering to the most powerful blender you mentioned. How could be delivered and the mode of payment. 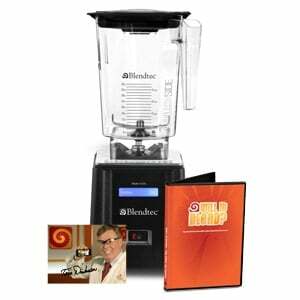 You can find many Will It Blend videos on youtube demonstrating the insane power of the Tom Dickson Extreme blender. 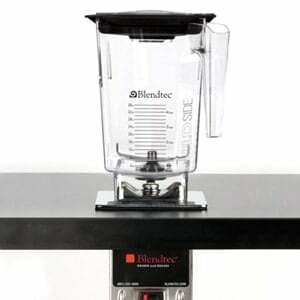 The best source for product specs and to make a purchase are direct at blendtec.com. By clicking on the link just provided, will provide Free Shipping, saving quite a bit on your purchase. Best of luck and let us know if you have other questions.